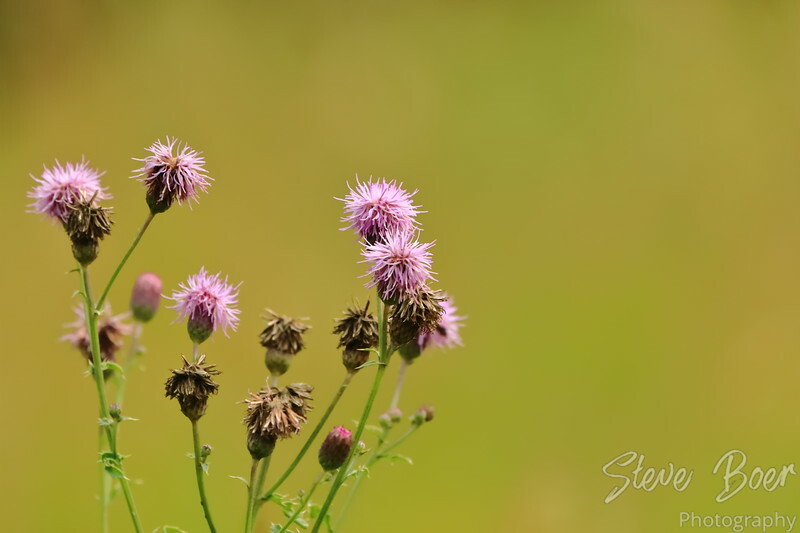 Some pink thistle flowers seen in Elk Island National Park, AB. 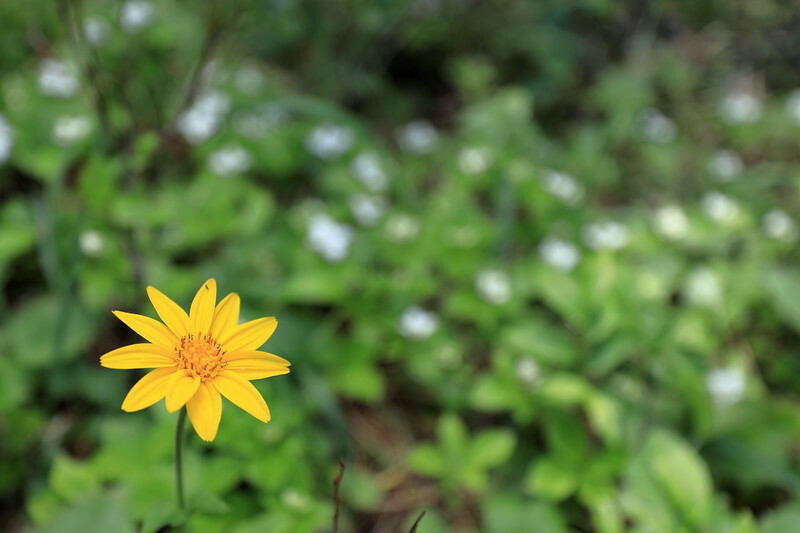 Yellow flower in field of white flowers on the Sulphur Skyline trail in Jasper, AB. 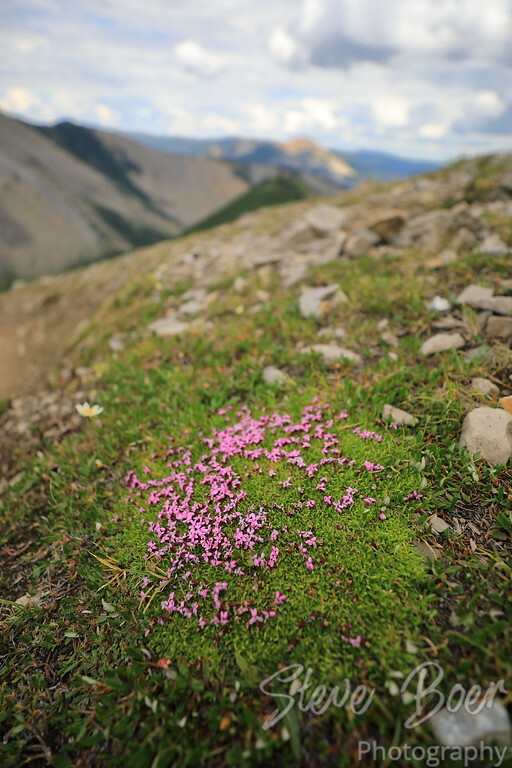 Some small purple flowers at the summit of the Sulphur Skyline trail in Jasper, AB. 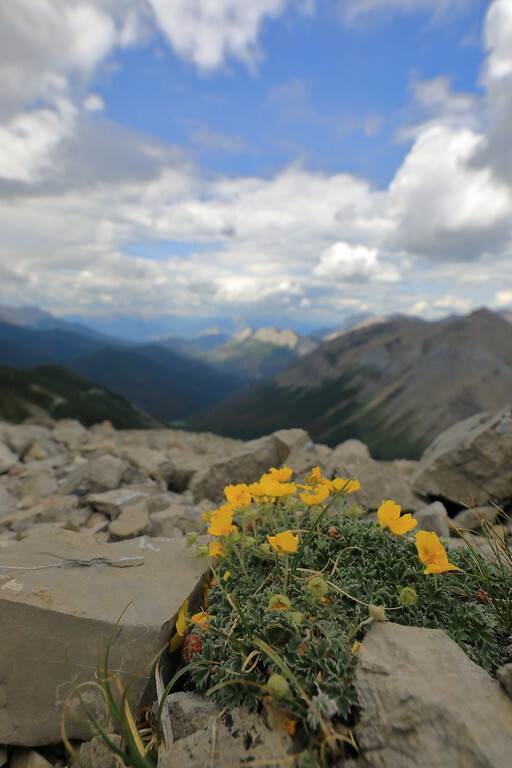 Some small flowers at the summit of the Sulphur Skyline trail in Jasper, AB. 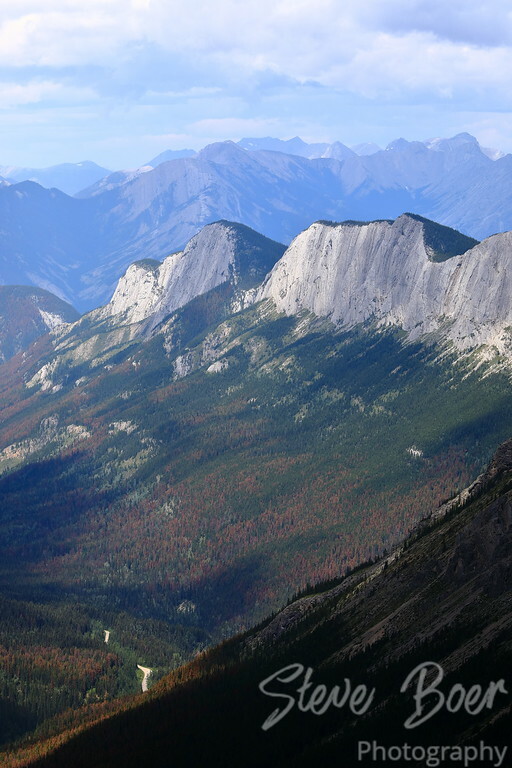 Here’s a view from the summit of the Sulphur Skyline trail in Jasper, AB. You can really see how much pine beetle damage there is from up here (all the red trees). 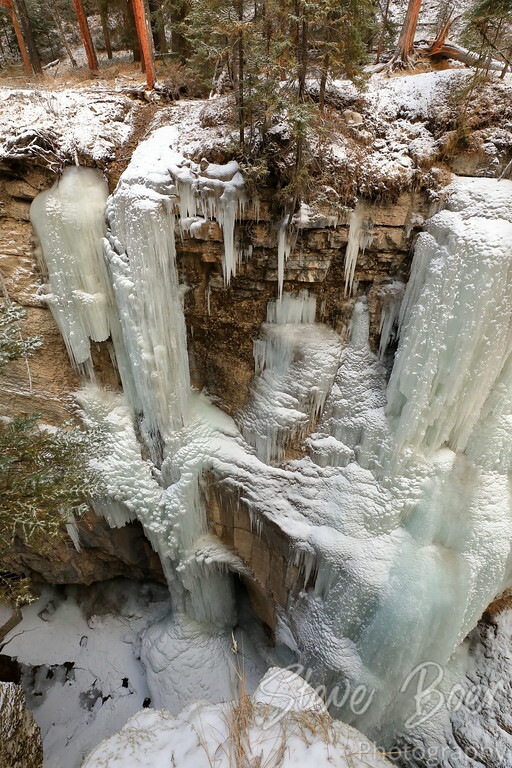 A panorama image, made by stitching together eleven individual photographs. 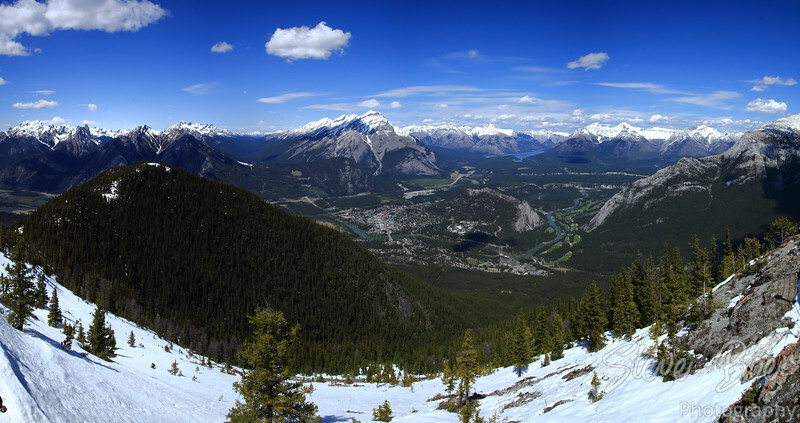 Taken from the top of Sulphur Mountain in Banff, AB.